MASONIC SYMBOLS - Are Freemasonry Symbols Good or Evil? To more fully understand Masonic Symbols, it is necessary to learn a bit of the history behind them as well as the difference between a symbol and an emblem. 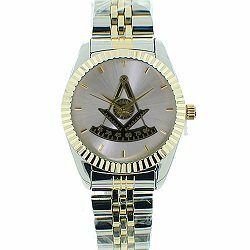 If you're pressed for time, you can go directly to Freemason Symbols, however for a truer understanding of why Freemasons use symbols, please continue reading this, first. Many Freemason symbols teach moral lessons through the use of allegory. (Allegory is when you liken one thing to another thing). Learning the allegorical meanings of Freemasonry's many symbols is not difficult, but it can be easy to confuse the difference between a symbol and an emblem. Some writers use these two words somewhat interchangeably and it is easy to see why. Symbols represent a more complex idea by use of the "face value" of a graphical image. A symbol compares one thing with another using a graphical, visual object as a memory aid. A symbol has both a visual "face value" and a secondary more complex meaning which has been ascribed to it. In other words, a symbol brings to mind a "story" behind it. Masonic symbols usually have a secondary or higher religious or spiritual meaning ascribed to them. The Masonic setting maul symbol has the face value of its basic use to an operative Mason as that of a tool to set stones. To speculative Masons, it has a secondary meaning which represents a more complex idea or concept such as the manner in which Hiram Abif met his death. Emblems represent a specific group, quality or type. Emblems have a "face value" only. Most of the time, you can remember the difference if you think: Emblem = Group. An emblem is an insignia, crest, patch,...a trademark or logo. It is a special design or visual object representing a quality, type or group. The Masonic square and compasses emblem represents Freemasonry as a group. It is their logo. It should also be noted that the Masonic square and compasses logo is copyrighted. 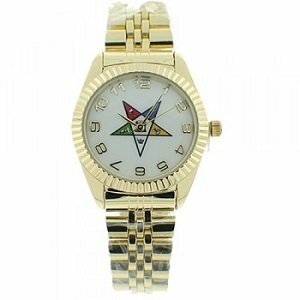 The Eastern Star emblem, below, represents a group known as the Eastern Star or the Order of the Eastern Star. It is their logo. The easiest way to remember the difference between Masonic symbols and Masonic emblems in Freemasonry is that Masonic emblems are most often used as a representation or logo for a group. It represents the group as a whole. Other appendant bodies within Freemasonry have their own emblems, such as Rainbow Girls, Job's Daughters, Scottish Rite, DeMolay, etc. These are their logos. Therefore, if you always have trouble remembering the difference between an emblem and a symbol, the easiest way to remember this is to just remember that (for the most part), emblems are logos. If you would like to learn more about Freemason emblems, here is more information about Masonic Emblems . While we don't usually take the time to think about it, we begin learning symbols from the time we are a child. This is just as true for people of every culture around the world, today as it was thousands of years ago for the ancient Egyptians, the Romans, the Greeks, the Hebrews and all the other people of the world. Egyptian hieroglyphic symbols are famed for their antiquity. Scholars and historians are still attempting to decipher many of these symbols, some of which, in similar formats are used within Freemasonry, today, such as the Point Within a Circle, the Sun, Moon, etc. Some believe that Moses brought the knowledge of these symbols with him after the Hebrews left Egypt. Roman Symbols: The Romans developed a numbering system we call "Roman numerals", which is still in use, even today. Greek Alphabet: The Greek alphabet descends from the Phoenician alphabet. These alphabetic symbols are used today in mathematics and science. The names of college fraternity and sorority houses are often named using the symbols of the Greek alphabet. The Greek alphabet was the forerunner to other alphabets such as Latin, Gothic and Cyrillic alphabets. Why are ancient symbols important to Freemasons, today? The Old Testament of the Holy Scriptures was written first in Hebrew, (plus 8 chapters which were written in Aramaic). In approximately 250-50 B.C., the Hebrew text was translated to Greek (called the Septuagint Bible). In approximately 400 A.D., the Greek translation was translated into Latin (called St. Jerome's Vulgate Bible). (For more information about the different Bibles throughout history, see Freemasonry and the Bible). Phoenicia is the ancient name for the country we now know as Lebanon. The city of Tyre, Lebanon is best known to Freemasons as the city in which Hiram Abif resided before he was called into the employ of King Solomon. Q: Why is that of any importance, today? A: Many Masonic symbols are a part of the shared history of the world. Others are of unknown origin and date. Masonic symbols such as the double-headed eagle used by the Scottish Rite are steeped in antiquity. The double-headed eagle appears on the Coat of Arms of many different countries, as well as several national flags. The double-headed eagle symbol may also be seen on the flag of the Greek Orthodox Church. The Holy Roman Empire and the Byzantine Empire, too, both used the double-headed eagle as an emblem of their rulership. eagle has anything to do with the Greek Orthodox Church? The symbolism for each entity using the double-headed eagle is quite different,... just as different as each entity is from one another. It is important to realize that most Masonic symbols did not suddenly appear with the advent of speculative Freemasonry in 1717. As you can see, above, many (not all) of the Masonic symbols we learn, today, go back thousands of years, quite literally into the mists of time. This is where for many people, Freemasonry becomes erroneously confused with ancient secrets, evil and other convoluted beliefs. The first 5 books of the Holy Scriptures (Old Testament) were originally written in Hebrew (in the Torah). As a percentage of the world's population, few people around the world speak the Hebrew language, today. Therefore, because of this lack of knowledge, many people fear the meaning of symbols with which they are not familiar. Unfortunately, this fear sometimes translates quite quickly from a fear of the unknown to an unfounded fear of evil. Evil has no part within Freemasonry. An excellent example of this is the Masonic symbol, below. This is the symbol for the Lodge of Perfection within the Scottish Rite of Freemasonry. 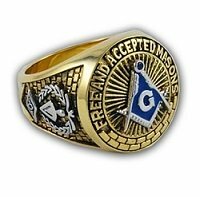 Scottish Rite Freemasonry degrees are advanced Freemason degrees (in the United States) which a Freemason may choose to attain once he has obtained his Master Mason degree. 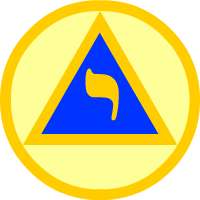 The golden symbol at the center on a blue background (which looks somewhat like a flame blowing in the wind) is the Hebrew letter "Yod". Yod is the first letter of the sacred name of the Supreme Being (YHWH) in the original Hebrew from which the Bibles of today have been translated. The name of YHWH "Yahway", also pronounced as "Jehovah". The "J" is pronounced as a "Y" which would be "Ye-Ho-Vah". YHWH is written in Hebrew in The Dead Sea Scrolls and is used approximately 7000 times in the Bible,...more than any other name for God. These 4 letters (YHWH) represent the current, past and future tenses of the Hebrew word for "to be". HVH (pronounced Hovah) means "to be". HYH (pronounced Hayah) means "was". YHYH (pronounced Yi-yeh) means "will be". The Supreme Being was, is and will always be at the heart of Freemasonry and a part of our Masonic symbolism. A: No. Most Freemasons do not know Hebrew. Jewish faith can be Freemasons? men from all religions around the world. Most Freemason symbols do not require any knowledge of the Hebrew language. The reason I discuss this Masonic symbol is because Freemasonry has its roots in the Holy Scripture. The Holy Scripture was originally written in Hebrew. Q: Why do you call it the Holy Scriptures instead of the Bible? Freemasons, but members of other religions. Q: If I want to become a Freemason, what do I need to do? "Supreme Architect" of the Universe? "Supreme Being" as a word representing deity. Some of the symbols that we know, today, as Masonic symbols are to be found in ancient cultures and in some schools of thought in more recent times, notably those of the Rosicrucians, the Hermeticists, the Kabalists, as well as the mystic and occult schools of thought such as the Gnostics, the Pythagoreans and the Neo-Platomists. It is within these ancient mystic and occult schools of thought that mystical beliefs and alchemy also become confused with Freemasonry. Many of these ancient symbols are interwoven through the ages into the history of Man and therefore, due to Freemasonry's antiquity, by default, they have also been woven into the history of Freemasonry. 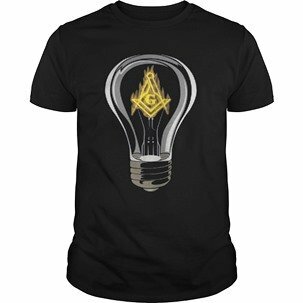 Your quest for Masonic light (knowledge) is a journey which will take you on many fascinating paths back through history. Like any traveler, it is just as important that we learn about different cultures throughout different eras as it is to learn about and visit other jurisdictions within Freemasonry. While on the journey, it is also important that we do not lose our way. While all knowledge is good;... just as the North Star has been used for milleniums (thousands of years) to guide travelers home, we must also remember that as a traveler, w must not get so caught up in any one of these ancient schools of thought so deeply that we forget to look up and let the star's light chart our way home. One of the take-home lessons of Freemasonry is that the Masonic student should not only learn the meanings of Masonic symbols, but also remember that we are simply visitors to the historical information we read. In that sense, we must remember that different Masonic authors may sometimes imply slightly different meanings gleaned from their own perception and understanding of that ancient body of knowledge which may not perfectly agree with meanings gleaned from other authors throughout history. This holds equally true for different jurisdictions around the world. It is also important to know that an earlier usage (within history) of the same symbol is not necessarily the source of its Masonic symbolism interpretation...even when the earlier explanation of what we recognize as one of our Masonic symbols is similar to our known Masonic interpretation. It is also necessary for all Masons to know that there are slight deviations in Masonic symbol meanings across different Masonic jurisdictions around the world. One example of this is that Freemasons in the United States speak of the trestle board. Freemasons in England and Canada speak of it as a "tracing board". Neither are wrong, (depending upon the jurisdiction). In different jurisdictions around the world, slightly different Masonic working tools (with somewhat different symbolism) are also used. These tools, too are correct within their jurisdiction. Each of the authors, below have attempted to personally explain Masonic Symbols. Since this is a Masonic education website, each of the hyperlinks, below will take you to an online book seller where, if you would like to acquire a more in depth knowledge about Masonic symbols, you may purchase these books written by these Masonic scholars. Visual learning has been with us for thousands of years. The cavemen drew symbols. The Egyptians created hieroglyphics. In fact, we are so surrounded by symbols in our everyday lives and have grown so used to them that we even take them for granted. In addition, symbols have been so ingrained in us as a part of our education that we have forgotten when, where or who taught them all to us. Alphabetic Symbols: Each letter of the alphabet is the symbol for a certain sound...."A" stands for "apple", "C stands for "cat". From our earliest learning as a child, we are instructed that it is easiest to learn a particular sound when we can see the physical symbol which it represents. Driving and Transportation Symbols: A red light means "stop". Most highway signs, too, are represented by symbols such as the use of arrows and the use of different colored signs to denote different actions, such as yellow, green and red signs. Musical Symbols: If you play an instrument, you will need to learn musical symbols. Computer Symbols: Every single key on your keyboard and all of the icons on your computer screen's toolbar are also symbols. They liken one thing with another...using a graphical, visual object as a memory aid such as this e-mail symbol. Even web graphics are symbols. Electrical symbols, construction symbols, cartographer (map makers) symbols; ...we all learn thousands of symbols throughout our lives. Depending on the type of career or specialty field we have chosen to embrace, we acquire a new set of special symbols. The list of specialty symbols is endless. Q: Why Do So Many Symbols Abound? A: Symbols provide Man with the fastest way to learn. 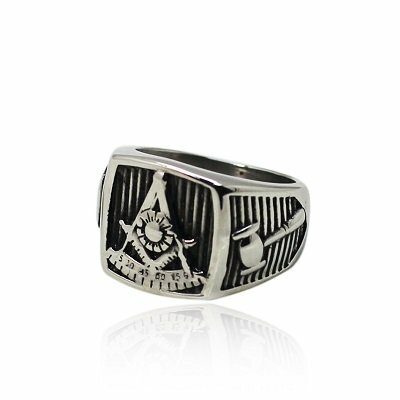 It is no wonder then, that Freemasonry, like many other organizations throughout history, has its own set of specialty symbols which compare one thing with another as a memory aid. A: No more so than other specialty subsets of symbols. 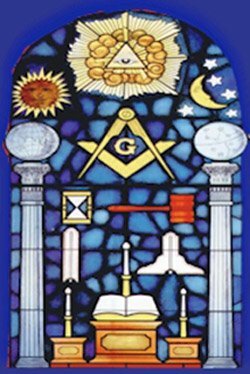 However, due to the fact that the Supreme Being is central to Freemasonry, many Masonic symbols such as the Masonic Altar, the Eye of God and others have Deity (the Supreme Being) as their central focus. This is the foundation on which Masonic degrees "Make Good Men Better". In your ongoing quest for knowledge via this free online education website about Freemasonry, this link has more in depth information about the history of Masonic Symbols as well as links to specific Freemason Symbols. I hope you have found this information to be helpful to you as you gain Masonic knowledge on your Masonic journey. Take this printable Masonic Symbol Quiz and test your knowledge!